Also serving communities of Poland. There are 7 Memory Care Facilities in the Youngstown area, with 1 in Youngstown and 6 nearby. To help you with your search, browse the 8 reviews below for memory care facilities in Youngstown. Better rated regions include Austintown with an average rating of 4.7 out of 5 stars. Caring.com has helped thousands of families find high-quality senior care. To speak with one of our Family Advisors about memory care options and costs in Youngstown, call (855) 863-8283. Youngstown lies in northeastern Ohio along the Pennsylvania border and within driving distance of Lake Erie. Of 64,604 people here, 17.1 percent are 65 and older, the age range most susceptible to Alzheimer's and other forms of dementia. According to the Eastern Ohio Chapter of Alzheimer's Association, 60,000 seniors in the 17-county area currently have the disease. This includes those in Youngstown with Alzheimer's and related cognitive impairments, and the city has one memory care facility, with six more available in surrounding communities. These facilities are stand-alone buildings or housed within assisted living facilities and referred to as Residential Care Facilities. In Ohio, the Department of Health oversees the licensing and regulations for both types of facilities. Based on a scale of 1 (low crime) to 100 (high crime), the crime rate in Youngstown is very high at 77 compared to the U.S. average of 31 for property crime. Decision-makers for seniors in memory care should ensure the facility has security equipment. The cost of living in Youngstown is 71 compared to the U.S. average of 100 and Ohio average of 88. This is driven mainly by extremely low housing costs at 25 percent of the national average. This can help families moving here from more expensive cities better afford memory care and related expenses. There are 160 sunny days annual in Youngstown, compared to the higher U.S. average of 205 sunny days. Temperatures can be extreme in winter, with January lows of 18 on average, but the summers are moderate, with July highs of 83 on average. Some facilities may have outside activities for eligible residents, and family members should ask how the facility safeguards residents during extreme temperatures. Ohio is moderately tax-friendly in that it doesn't tax Social Security income but does tax withdrawals from retirement accounts. Wages earned by seniors are taxed at normal rates. This means that Youngstown seniors relying on SSI may have more money left for memory care expenses. Memory Care costs in Youngstown start around $0 per month on average, while the nationwide average cost of memory care is $4,799 per month. It’s important to note that memory care rates in Youngstown and the surrounding suburbs can vary widely based on factors such as location, the level of care needed, apartment size and the types of amenities offered at each community. 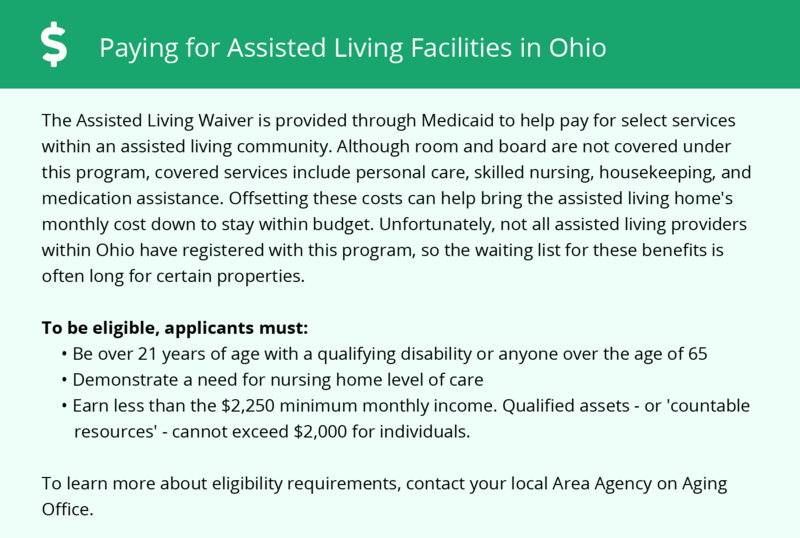 Youngstown and the surrounding area are home to numerous government agencies and non-profit organizations offering help for seniors searching for or currently residing in an assisted living community. These organizations can also provide assistance in a number of other eldercare services such as geriatric care management, elder law advice, estate planning, finding home care and health and wellness programs. To see a list of free memory care resources in Youngstown, please visit our Assisted Living in Ohio page. 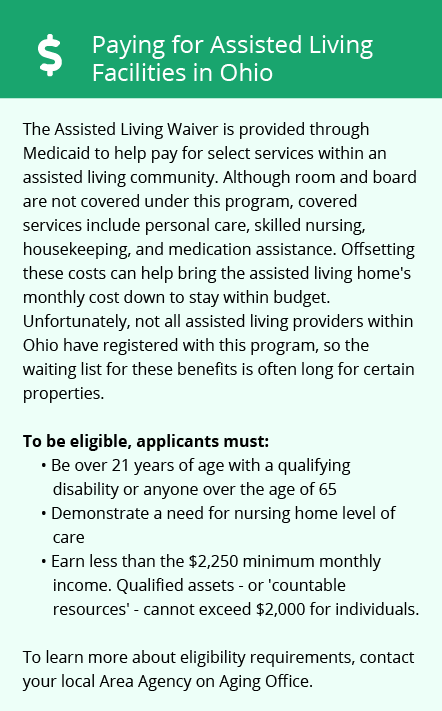 Youngstown-area assisted living communities must adhere to the comprehensive set of state laws and regulations that all assisted living communities in Ohio are required to follow. Visit our Memory Care in Ohio page for more information about these laws.